Anyone know if Nashville was recorded? Cant get enough of the atlanta tape and hope someone was able to capture Nashville. Re: Nashville Schermerhorn JJ Solo Recording? Yeah, I actually recorded it with my little portable audio recorder (TASCAM DR-05), but I had the level set too high (some distortion whenever Jim howls extra loudly and during the louder songs near the end). A lot of the show sounds pretty good though. I don't have it chopped up into individual songs yet, but I'll work on it. I will let you all know when it is done and share it from my Mega Upload account like I did that Carl show from Nashville and a couple of other shows I didn't record but have that didn't make it to Internet Archives. It was good talking to you for those few minutes before the show, Unravelled. I didn't realize that was you but remembered you. Had to talk a few minutes with Sheets of Clay and a couple of others from the Forum too before things kicked into gear. What a fantastic show. Can't wait to hear what you got, Mr. White, and thanks for all that you do! Twas good times had by all! I really need to start giving my aliases at these shows. My goal for the Atlanta and Nashville was to remain as reverent as possible, which can be quite difficult. I absolutely hated it for the fan, but totally understood from Jim's perspective, when he called out some talkers early in the show. This is the link (with key included to open it) from my MEGA account. Like I said earlier, I had the recording level a little too high, so whenever Jim sings extra loudly or howls (especially during the last couple of songs) there is some distortion. It's not too bad and can be tolerated. I set the level early on and had the recorder in the empty seat next to me under my hat (very low profile). I was on the 3rd row, center section (almost dead center). The songs that don't have distortion, and even the ones that do, sound pretty good, in my opinion. Hope you all enjoy it! I will upload it to Internet Archives as soon as I can. I have uploaded that Carl Solo Show at the Mercy Lounge in Nashville before, but I can't figure out how to get it/them to the My Morning Jacket collection. If someone is pretty good at this and thinks they can help me out, please send me a PM. Thanks. Edit: Updated link that gets you to the MMJ Collection below. Absolutely stellar recording Mr White!! Thank you so much for recording this and sharing. I was there and it was such an incredible spiritual evening. Listened to first few songs so far and sounds great. Wow...can't wait to listen to this all the way through. I've gotten pretty good at uploading things to the mmj collection on Archive and can help you out with getting this and the Carl show (and any others you have) uploaded there. I'll send you a PM. This video is "Unlisted". I used my Taper Audio from my TASCAM DR-05 and supplemented the parts of the show where no video existed with still images captured from my videos (full explanation below). The following YouTube Videos were used in full or partial to supplement and fill in where my videos were incomplete. That Archive link works (second attempt), but I'm going to have to re-upload it again to make it available in the MMJ Collection. cgreen2955 has sent me a tutorial to help me get it up and running. The original files I uploaded were WAV. Internet Archives has made it to where you can download it in multiple formats (I wouldn't recommend listening to anything less than FLAC or WAV ... and neither would Neil Young), but you can do whatever works for you. Anyway, cgreen2955 said it needs to be converted to FLAC before I upload it. Otherwise, it will be part of the general Community Archive and not work for addition to the MMJ Collection. I've already converted it (used Nero), but Internet Archives allowed me to download it as FLAC already, and they are identical as far as I can tell. I will have to do more when I get home. My Interweb here at work won't let me do stuff in Internet Archives. Wish me luck! Thanks Mr. White for all the time you put in on this. I know how frustrating it can be sometimes. OK! 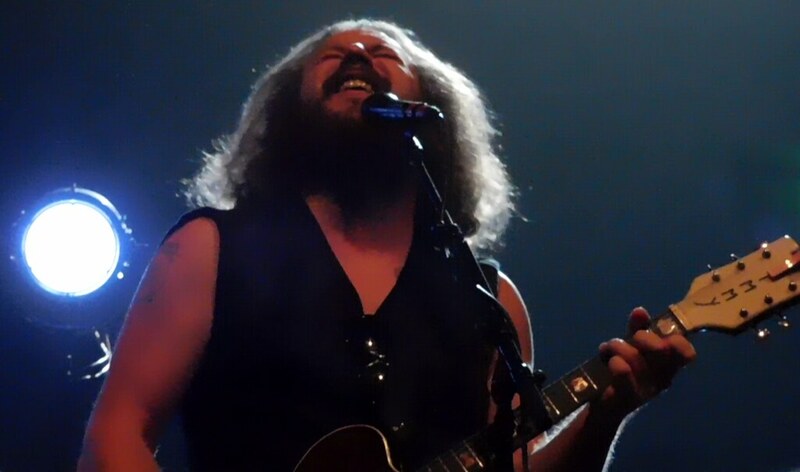 I think I actually got this thing uploaded to the My Morning Jacket Collection on Internet Archives (with the help of cgreen2955)! Awesome! Glad you got it worked out. Happy to help. Quote from: Mr. White on Dec 17, 2018, 11:37 am This video is "Unlisted". I used my Taper Audio from my TASCAM DR-05 and supplemented the parts of the show where no video existed with still images captured from my videos (full explanation below). Fixed the YouTube link, since it no longer worked after the Forum Update a while back. Hope more people watch it than before (only 14 views as of this re-post).